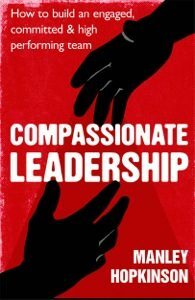 Our HPO UK partner Manley Hopkinson wrote a very inspiring book: Compassionate Leadership. This book will introduce you to the art of compassionate leadership – the art of getting the best for and out of people through the fulfillment of self-worth. It will show leaders how to give their teams a real sense of purpose and direction in order to motivate and inspire them to perform at a high level. In this highly acclaimed, entertaining and hugely readable book, Manley combines the two worlds of business and adventure to encourage leaders everywhere – at work, at home, in sports and mid-ocean – to take a new approach to creating teams of developed, self-aware and committed individuals.